Swiss watch manufacturer Ulysse Nardin has recently released a corporate movie through their website and YouTube that showcases the highly intricate process by which their timepieces are made. 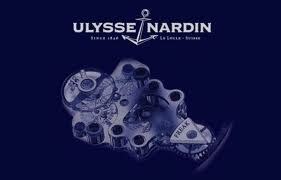 Ulysse Nardin was founded in 1846, and the city of Le Locle, Switzerland, but their manufacturing facility is all modern. The film takes viewers through all steps of the manufacturing process, from designers putting together the next generation of watches to the workers to utilize state-of-the-art equipment to create the many intricate parts that go into a single watch. The film is sure to showcase the artistry of each watch and the skill of the workers who make them. Heaving seas and a cloud-covered moon that set the scene as the movie begins. The flash of a lighthouse beam takes us first to the designers, hard at work thinking up the next generation of watches on paper and computer. The next few minutes of the film are devoted to the people and machines who manufacture the many intricate parts of a watch. From dark factory floors to brightly-lit labs, the movie beautifully exhibits the breadth of skills required to create a single luxury timepiece. Ulysse Nardin is careful to also showcase the people who make their watches possible in this movie, with attention dedicated to the men and women whose work make Ulysse Nardin’s watches possible. Time and again we see people examining their work with dedication and care, a reminder of how highly Ulysse Nardin values the quality of its watches. From factory floors and labs we move on to the watches’ assembly. Ranks of skilled men and women take the parts we just saw being made and begin the delicate process of assembling them into the mechanical core of each Ulysse Nardin timepiece. However, a luxury watch is more than just a machine, it’s a work of art, and the movie shows us that dimension of each watch’s genesis as well. There is a fascinating portion of the movie that gives us a close look at the artistry behind some of Ulysse Nardin’s watches, from cloisonne to miniature paintings. Once the artists have had their time on screen the movie jumps back to the assembly process. This time we watch as the assembled cogs are united with their faces and hands before their fine casings are put in place. The film takes us through the final part of the manufacturing process as it showcases the men and women whose job it is to check each and every watch for quality, ensuring that only the best make it out. The movie closes on a look at some of Ulysse Nardin’s beautiful timepieces, their beauty only enhanced by knowledge of the labor and craft that went into each one’s making. With a final flash of light, the lighthouse from before turns off, signalling the end of a long day’s work and the end of the movie.